1. For the business Conditions between AVOX VERLAG and the customer are only the following conditions valid, in their topical, valid version. 2. Special conditions and further arranging are only valid when AVOX VERLAG has agreed explicit and in a written way. 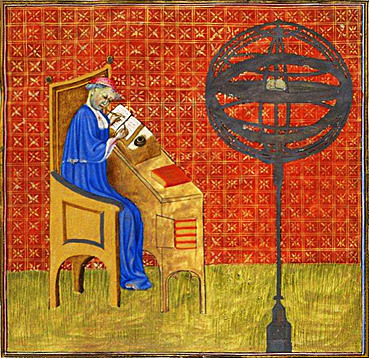 Advice: For journal-abonnements are the purchase conditions according to the impress of the current journal. For advertisement orders are the general conditions and other enclosures in journals valid. For manufacturing of books and publications are the General Business Conditions for AVOX-Multimedia valid. Besides are the following General Business Conditions of AVOX VERLAG valid. 1. All offers, which are made on the internet are staying free. AVOX VERLAG is allowed to change the price and it will be published on time. 2. All prices of AVOX VERLAG include tax and other parts of price. Delivery and dispatch costs are free within Germany. For delivery within the domestic market, prices consist in according with §1 paragraph 2 sentence 1 UstG and delivery to members of the European Community (EG) the legal sales tax. 3. Foreign receivers can decide between Surface/"Presse und Buch International" (shipping could take more than six weeks) and airmail (Luftpost). Airmail Europe/Luftpost Europe: up to 1 kg Euro 8,25, up to 2 kg Euro 14,55, up to 3 kg Euro 18,55, up to 4 kg Euro 22,85, up to 5 kg Euro 27,85. Airmail International: up to 1 kg Euro 17,00, 2 kg Euro 30,00, 3 kg Euro 40,00, 4 kg Euro 50,00, 5 kg Euro 60,00. For delivery in countries which are not members of the EG could be further customs duties, on which has AVOX VERLAG no influence. 4. AVOX VERLAG only delivers by invoice. By an invoice over 150,00 Euro AVOX VERLAG only delivers by cash in advance. 5. All books and journals are binding prices. The customer has to pay the fixed store prices. If the customer gives books or journals from AVOX VERLAG to a further seller, he has to oblige him to keep these store prices. 1. A contract even begins when AVOX VERLAG confirms the order or when he delivers the ordered goods. 2. If there is no further agreement the customer is fixed for 30 days on the order. AVOX VERLAG, Weißenfelser Straße 4, D-04229 Leipzig. 4. By deliveries of audio or videos (e.g. CD, DVD) or software, the contract can only be cancelled when the delivered data medium is in the original, no damaged film or the no damaged seal. 5. For services which are made online (e.g. software by download) there is no cancellation. 6. If the customer has agreed to a service before ending of the period, there is no right of cancellation. 7. By delivery of journals and newspapers is a right of cancellation only valid according to the regulations of the Customers Credit Right or the Front Door Cancellation Right. 8. There is no right of cancellation by contracts which concludes goods, which are made only for this customer. 9. If the customer is using the right of cancellation, he has to pay, by a sum to 40,00 Euro, the regular prices of return. 10. Decisive is the value of return of the good at the time of buying, not the value of the whole order. 11. By receiving of no ordered or damaged goods AVOX -MEDIEN-VERLAG reimburses in any case the price of return. 1. If there is no further agreement delivery will be made from stock to the given address. As a rule AVOX VERLAG handed over after receipt, the ordered on stock books, on the next day to the Deutsche Post or it's packet service. Small and light sending are regularly sent by post as book sending. Delivery can be take any time, unfortunately AVOX VERLAG has no influence to that. By foreign sending is the standard delivery chosen. In that case the delivery could take 4 weeks. For a faster delivery the customer has to choose and pay the airfreight prices. 2. Statements of AVOX VERLAG to the time of arrival are non binding, provided that the time of arrival has not been assurance. If a agreed time of delivery can not be kept because of high power, strike, fire, break of machines or other unforeseen obstacles or circumstances, which are not because of AVOX VERLAG, the time of delivery renews about the time of these events. If it is not possible to deliver within two months it is allowed to the publisher and to the customer to cancel this contract. In that case AVOX VERLAG will inform the customer promptly, that the ordered product is not available. An already paid invoice will be given back immediately. Will the time of arrival not be made on time, due to other reasons in paragraph 3, only the customer has the right to cancel this contract. Precondition is that the customer has written three weeks before a threat of a refusal. 3. AVOX VERLAG has every time the right for part delivery and to charge it immediately. 4. The transport of the goods is at one's own risk and invoice of the customer. That means the risk goes over to the customer, when the goods have been given from AVOX VERLAG to the supplier. As well when there are part sending or if AVOX VERLAG has taken over any costs for transport. AVOX VERLAG chooses the supplier, chooses the fastest art of transport, but he does not rules a liability. If the delivery delays because of the customer, the risk goes over from that day, on which the provision will be indicated, to the customer. Costs which are because of a warehousing by AVOX VERLAG or further persons, have to be paid by the customer. 5.If he customer wishes an insurance for the transport, AVOX VERLAG will only made that by a written instruction. 6. If goods return to AVOX VERLAG the supplier has to take the risk until the goods come, as well as any costs for transport. That is not valid for returns which are made by the right of return. For not ordered or damaged goods AVOX VERLAG will take the costs of this return. 1. AVOX VERLAG ensures to deliver the goods faultless and that they will keep the written agreed individual listed and ensured quality. 2. Claims for guarantee are not valid if the mistake casual connection stands to, that happened mistakes were not indicated immediately. 3. AVOX VERLAG is only liable for resolution and grossly negligent. 4. If there is a claim about the good or service, which was made by AVOX VERLAG, AVOX VERLAG has the right for it's own way to dispose the claim or to deliver a compensation. If the customer don't offers to give up the claimed good, or he used it already, all rights for guarantee will drop. 5. If AVOX VERLAG is not willing or not prepared for delivery of a disposal, if it will be delayed because of AVOX VERLAG, or the substitute delivery came to nothing, the customer has the right to step back from this contract or to demand an appreciate reduction. 6. A claim for compensation will be reduced to the foreseeable damage. 7. If these amounts nothing else, are further claims of the customer, no matter from which legal rights, impossible. So AVOX VERLAG is not valid for no made profits or other asserts damages of the customer. When the liability of AVOX VERLAG is kept out, that is valid for the employment's and agencies as well. 8. A limitation of liability is not valid if the reason is because of resolution or grossly negligent. Further it is not valid if the customer raises any compensation claims because of not carried out §§463, paragraph 2 BGB. That is valid as well by powerlessness or impossibility. 9. If AVOX VERLAG hurts it's duty, the duty for replacement to personal injury or thing injury reduces to the created damage. 1. If there is no other agreement, invoices have to be paid immediately, without any deductions. 2. To keep a guarantee of payment is impossible. Payments have to be without any costs expenses or charges, that means without a reduction of transfer charges for e.g. by domestic and foreign banks to the accounts of AVOX VERLAG. 3.The customer can pay the price by transfer, cheque or debit entry. 4. By collection of the goods from AVOX VERLAG the price has to be paid cash. By foreign transfers the customer has to exempt AVOX VERLAG of any transfer charges of the involved bank. If the customer submits a transfer by his bank, he has to tell his bank explicit, that he will take all domestic and foreign arisen costs. The receiver will not drum charges. That is the only way that the sum will arrive completely. 5. Delay will come according to the legal regulation. If the customer gets in whole or part delay for more than 30 days, AVOX VERLAG has the right to charge the invoice immediately, to keep any deliveries or services and to value all rights the owners reservation. 6. If the customer gets in delay in payment, AVOX VERLAG has the right to demand interest on arrears by 5% , that is the given interest rate by the European Central Bank. If there was a higher provable interest on area for AVOX VERLAG, AVOX VERLAG has the right to provable a lower damage. 1. Be customer has the right to an offset, when his reclaims are noticed legal, undisputed or by AVOX VERLAG acknowledged. Besides he has just the right to keep the payment, if a reclaim bases on the same contract relation. 2. The delivered good will be the property of AVOX VERLAG until whole payment. 1. The place of realisation for any claims out of the business connection between the customer and AVOX VERLAG is in Leipzig. If it is the case, that the customer is a businessman of the HGB, the only court of justice will be in Leipzig. 1. The right of the German Republic is valid, under exclusion of the UN-Buying-Right. 2. To change or to replenish the given regulations, it needs to the effectiveness of the written and the agreements of the contract. Verbal or written agreements are only valid after a written confirming by AVOX VERLAG. 1. Für die Geschäftsbeziehung zwischen dem AVOX VERLAG und dem Besteller gelten ausschließlich die nachfolgenden Bedingungen in ihrer jeweils zum Zeitpunkt der Bestellung gültigen Fassung. 2. Besondere Vereinbarungen und Nebenabreden erlangen nur dann Gültigkeit, wenn der AVOX VERLAG ausdrücklich schriftlich ihrer Geltung zugestimmt hat. Hinweis: Für Zeitschriften-Abonnements liegen die Bezugsbedingungen laut Impressum der jeweiligen Zeitschrift zugrunde. Bei Anzeigenaufträgen gelten die Allgemeinen Geschäftsbedingungen für Anzeigen und Fremdbeilagen in Zeitungen und Zeitschriften. Für die Herstellung von Büchern und Publikationen gelten die Allgemeinen Geschäftsbedingungen für AVOX-Multimedia. Im übrigen gelten die unten aufgeführten Allgemeinen Geschäftsbedingungen des AVOX VERLAGs. 1. Sämtliche Angebote, die der AVOX VERLAG auf seinen Internetseiten macht, sind freibleibend. Der AVOX VERLAG behält sich jederzeit Preisänderungen vor, die er dem Besteller rechtzeitig bekannt gibt. 2. Sämtliche Preisangaben des AVOX VERLAGes beinhalten alle Steuern und sonstigen Preisbestandteile. Liefer- und Versandkosten fallen bei Empfängern innerhalb Deutschlands nicht an. Die Preise beinhalten für Lieferungen innerhalb des Inlandes gemäß § 1 Absatz 2 Satz 1 UstG und Lieferungen in die Mitgliedstaaten der Europäischen Gemeinschaft (EG) die gesetzliche Umsatzsteuer. 3. Lieferung an Empfänger im Ausland: Empfänger im Ausland haben die Wahl zwischen "Presse und Buch International" beziehungsweise Surface (Land-/Seeweg; Dauer bis zu sechs Wochen) und Luftpost. Luftpost Europe: jeweils bis 1 kg Euro 8,25, 2 kg Euro 14,55, 3 kg Euro 18,55, 4 kg Euro 22,85, 5 kg Euro 27,85. Luftpost International: jeweils bis 1 kg Euro 17,00, 2 kg Euro 30,00, 3 kg Euro 40,00, 4 kg Euro 50,00, 5 kg Euro 60,00. Beim Versand in Länder, die nicht der EU angehören, können zusätzliche Zollgebühren anfallen, auf die der AVOX VERLAG keinen Einfluss hat. 5. Alle Bücher und Zeitschriften des AVOX VERLAGS sind preisgebunden. Der Besteller ist verpflichtet, die festgesetzten Ladenpreise einzuhalten. Soweit der Besteller Bücher und Zeitschriften des AVOX VERLAGes an andere Wiederverkäufer abgibt, hat er diese rechtsverbindlich zur Einhaltung der Ladenpreise zu verpflichten. 1. Indem der Kunde eine Bestellung per eMail an den AVOX VERLAG absendet, gibt er ein Angebot im Sinne des § 145 BGB ab. Der Kunde erhält eine Bestätigung per eMail, dass die Bestellung empfangen wurde. Auf mögliche Fehler in den Angaben zum Sortiment auf der Website wird der AVOX VERLAG den Kunden im gegebenen Fall gesondert hinweisen und ihm ein entsprechendes Gegenangebot unterbreiten. 2. Ein Vertrag kommt erst zustande, wenn der AVOX VERLAG den Auftrag bestätigt oder die bestellte Ware liefert. Falls nicht anders vereinbart, ist der Besteller 30 Tage an Bestellungen gebunden. Die Annahme erfolgt unter dem Vorbehalt der Verfügbarkeit der bestellten Ware oder Leistung. Die Erklärung der Annahme durch den AVOX VERLAG gegenüber dem Kunden ist nicht erforderlich; der Kunde verzichtet insoweit auf diese im Sinne des § 151 S. 1 BGB. Kann der AVOX VERLAG das Angebot des Kunden nicht annehmen, wird dies dem Kunden in elektronischer Form mitgeteilt. 4. Ein Widerrufsrecht besteht bei Lieferungen von Audio- oder Videoaufzeichnungen (zum Beispiel CD, Videokassetten, DVD) oder Software nur, wenn die gelieferten Datenträger in der ursprünglichen und unbeschädigten Einschweißfolie beziehungsweise mit unbeschädigtem Siegel an den AVOX VERLAG zurückgesandt werden. 5. Ein Widerrufsrecht besteht nicht bei Leistungen, die online (zum Beispiel Dateien und Software zum Download) übermittelt worden sind. 6. Ein Widerrufsrecht besteht nicht, wenn der AVOX VERLAG mit der Ausführung einer Dienstleistung mit Zustimmung des Bestellers vor Ende der Widerrufsfrist begonnen hat oder der Besteller diese selbst veranlasst hat. 7. Ein Widerrufsrecht besteht nicht bei Lieferungen von Zeitungen und Zeitschriften. Hier gilt ein Widerrufsrecht nur entsprechend der Bestimmungen im Verbraucherkredit- beziehungsweise im Haustürwiderrufsgesetz. 9. Für den Fall, dass der Besteller von seinem Widerrufsrecht Gebrauch macht, hat er bei einem Warenwert der zurückgesendeten Waren bis zu einem Betrag von 40,00 EURO die regelmäßigen Kosten der Rücksendung zu tragen. Maßgeblich ist der Rücksendewert der Ware zum Kaufzeitpunkt, nicht der Wert der gesamten Bestellung. 10. Bei einem Warenwert, der 40 EUR übersteigt, bitten wir den Besteller in jedem Fall um die Versandart "Päckchen" oder "Paket" und die Aufbewahrung des Einlieferungsscheins. 11. Bei Empfang von unbestellter oder mangelhafter Ware erstattet der AVOX VERLAG in jedem Fall die Kosten der Rücksendung. 13. Im Falle des Ausschlusses des Widerrufes und der Rückgabe gemäß § 312 d Abs. 4 BGB und gemäß § 3 Abs. 3 - 7 unserer AGB hat der Besteller bei einer Rücksendung der Ware an uns die Kosten der erneuten Versendung an ihn zu tragen. 1. Sofern nicht anders vereinbart, erfolgt die Lieferung ab Lager an die vom Besteller angegebene Lieferadresse. In der Regel übergibt der AVOX VERLAG die bestellten vorrätigen Titel nach Eingang der Bestellung am nächsten Werktag an die Deutsche Post oder seinen Logistikpartner. Kleinere und leichte Sendungen werden grundsätzlich mit der Post per Büchersendung verschickt. Die Auslieferung kann hierdurch in einigen Fällen bis zu 14 Tagen in Anspruch nehmen, worauf der AVOX VERLAG leider keinen Einfluss hat. Bei Sendungen in das Ausland wird die Standard-Zustellung über die Post gewählt. Die Sendung kann hierdurch bis zu sechs Wochen unterwegs sein. Für eine schnellere Zusendung muss der Besteller den Luftpostzuschlag wählen. 2. Angaben des AVOX VERLAGes zum Liefertermin sind unverbindlich, soweit nicht ausnahmsweise der Liefertermin verbindlich zugesagt wurde. 3. Kann eine vereinbarte Lieferfrist aufgrund von höherer Gewalt, Arbeitskampf, Feuer, Maschinenbruch, oder anderen unvorhergesehenen Hindernissen und Umständen, die der AVOX VERLAG nicht zu vertreten hat, nicht eingehalten werden, dann wird die Lieferfrist für die Dauer dieser Ereignisse verlängert. Ist der AVOX VERLAG aus diesen Gründen länger als zwei Monate verhindert, die Leistung zu erbringen, dann ist sowohl der AVOX VERLAG als auch der Besteller berechtigt, bezüglich der Lieferung, die in Verzug steht, vom Vertrag zurückzutreten. In diesem Falle wird der AVOX VERLAG den Besteller unverzüglich darüber informieren, dass das bestellte Produkt nicht zur Verfügung steht. Der bereits bezahlte Kaufpreis wird unverzüglich erstattet. Wird der Liefertermin aus anderen als den vorstehend in Absatz 3 genannten Gründen nicht eingehalten, dann hat ausschließlich der Besteller das Recht, hinsichtlich der in Verzug befindlichen Lieferung vom Vertrag zurückzutreten. Voraussetzung hierfür ist, dass der Besteller dem AVOX VERLAG schriftlich eine angemessene, das heißt mindestens drei Wochen lange Nachfrist mit Androhung einer Ablehnung gesetzt hat. 4. Der AVOX VERLAG ist jederzeit zu Teillieferungen berechtigt, die er sofort in Rechnung stellen kann. 5. Der Transport der Ware geschieht auf Gefahr und für Rechnung des Bestellers, das heißt, die Gefahr geht auf den Besteller über, sobald die Lieferung vom AVOX VERLAG oder einem von diesem Beauftragten an den Versender übergeben worden ist, und zwar auch dann, wenn Teillieferungen erfolgen oder wenn der AVOX VERLAG zusätzliche Leistungen, zum Beispiel Transportkosten übernommen hat. Der AVOX VERLAG wählt den Transporteur, wobei er die preiswerteste und schnellste Versandart wählt, eine Haftung für diese Wahl jedoch ausschließt. 6. Verzögert sich die Lieferung oder die Annahme aus Umständen, die der Besteller zu vertreten hat, dann geht die Gefahr von dem Tag an, an welchem die Bereitstellung angezeigt wird, auf den Besteller über. Kosten, die für eine Lagerhaltung beim AVOX VERLAG oder bei Dritten entstehen, trägt der Besteller. 7. Wünscht der Besteller eine Transportversicherung, dann wird der AVOX VERLAG diese nur auf besondere schriftliche Anweisung für Rechnung des Bestellers abschließen. 8. Werden Waren an den AVOX VERLAG zugesendet, dann trägt der jeweilige Versender bis die Ware eintrifft das Transportrisiko sowie sämtliche anfallenden Transportkosten. Dies gilt nicht für Rücksendungen, die infolge des gewährten Rückgabe- oder Widerrufsrechts erfolgen. Für unbestellte oder mangelhafte Ware erstattet der AVOX VERLAG in jedem Fall die Kosten der Rücksendung. 1. Der AVOX VERLAG gewährleistet, dass Lieferungen und Leistungen frei von Fehlern im gewährleistungsrechtlichen Sinn sind und dass schriftlich vereinbarte, einzeln aufgeführte und zugesicherte Eigenschaften eingehalten werden. 2. Die Gewährleistungsrechte des kaufmännischen Kunden setzen voraus, dass dieser seinen nach §§ 377, 378 HGB geschuldeten Untersuchungs- und Rügeobliegenheiten ordnungsgemäß nachgekommen ist. Der Kunde wird eventuell auftretende Mängel dem AVOX VERLAG unverzüglich schriftlich mitteilen. Gewährleistungsansprüche bestehen nicht, wenn der aufgetretene Fehler in ursächlichem Zusammenhang damit steht, dass zuvor aufgetretene Fehler nicht unverzüglich angezeigt worden sind. 3. Der AVOX VERLAG haftet nur für Vorsatz und grobe Fahrlässigkeit. 4. Liegt ein Mangel der Kaufsache oder der Leistung vor, der vom AVOX VERLAG zu vertreten ist, dann ist der AVOX VERLAG nach eigener Wahl zur Mängelbeseitigung oder zur Ersatzlieferung berechtigt. Wenn der Besteller dem AVOX VERLAG auf Verlangen die beanstandete Lieferung oder Leistung nicht zur Verfügung stellt oder wenn der Besteller das Produkt veräußert oder verwendet, dann entfallen alle Gewährleistungsansprüche. 5. 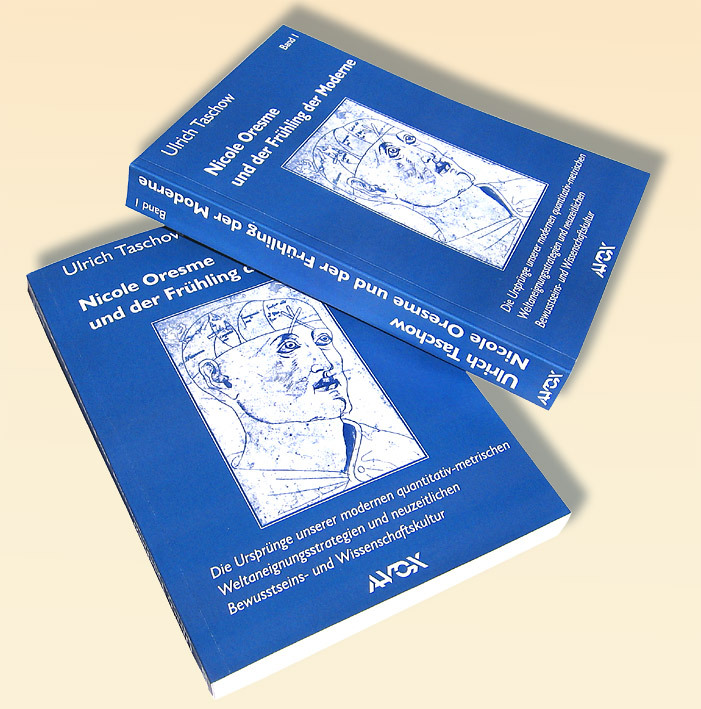 Ist der AVOX VERLAG zur Mängelbeseitigung/Ersatzlieferung nicht bereit oder nicht in der Lage oder verzögert sich diese über angemessene Fristen hinaus aus Gründen, die der AVOX VERLAG zu vertreten hat oder schlägt in sonstiger Weise die Mängelbeseitigung/Ersatzlieferung fehl, ist der Besteller nach seiner Wahl berechtigt, vom Vertrag zurückzutreten (Wandlung) oder eine entsprechende Minderung des Kaufpreises zu verlangen. 6. Soweit der AVOX VERLAG dem Grunde nach haftet, wird der Schadensersatzanspruch auf den vorhersehbaren Schaden begrenzt. 7. Soweit sich nachstehend nichts anderes ergibt, sind weitergehende Ansprüche des Bestellers - gleich aus welchen Rechtsgründen - ausgeschlossen. Der AVOX VERLAG haftet deshalb nicht für Schäden, die nicht am Liefergegenstand selbst entstanden sind; insbesondere haftet der AVOX VERLAG nicht für entgangenen Gewinn oder für sonstige Vermögensschäden des Bestellers. Wenn und soweit die Haftung des AVOX VERLAGes ausgeschlossen ist, gilt dies auch für die persönliche Haftung der Angestellten, Arbeitnehmer, Mitarbeiter, Vertreter und Erfüllungsgehilfen des AVOX VERLAGes. 8. Vorstehende Haftungsbeschränkung gilt nicht, soweit die Schadensursache auf Vorsatz oder grober Fahrlässigkeit beruht. Sie gilt darüber hinaus dann nicht, wenn der Besteller Ansprüche aus §§ 1, 4 Produkthaftungsgesetz, Ansprüche wegen des Fehlens einer zugesicherten Eigenschaft oder Schadensersatzansprüche wegen Nichterfüllung gemäß §§ 463, 480 Abs. 2 BGB geltend macht. Gleiches gilt bei anfänglichem Unvermögen oder zu vertretender Unmöglichkeit. 9. Sofern der AVOX VERLAG fahrlässig eine vertragswesentliche Pflicht verletzt, ist die Ersatzpflicht für Sach- oder Personenschäden auf den typischerweise entstehenden Schaden beschränkt. 10. Die Gewährleistungsfrist beträgt 24 Monate, gerechnet ab Gefahrenübergang. Diese Frist ist eine Verjährungsfrist und gilt auch für Ansprüche auf Ersatz von Mangelfolgeschäden, soweit keine Ansprüche aus unerlaubter Handlung geltend gemacht werden. 2. Zahlungen müssen kosten- und spesenfrei, das heißt ohne Abzug irgendwelcher Überweisungsgebühren, beispielsweise durch die Banken des In- und Auslandes, auf die Bankkonten des AVOX VERLAGes geleistet werden, die auf der Rechnung angegeben sind. 3. Der Besteller kann den Kaufpreis per Überweisung oder Lastschriftverfahren zahlen. Bei Abholung der Ware beim AVOX VERLAG ist der Kaufpreis in bar zu entrichten. 4. Bei Überweisungen aus dem Ausland stellt der Besteller den AVOX VERLAG von sämtlichen Überweisungskosten der beteiligten Banken frei. Sollte der Besteller einen Überweisungsträger bei seiner Bank einreichen, muß der Besteller seiner Bank ausdrücklich mitteilen, das er alle anfallenden Gebühren im In- und Ausland übernimmt. Der Empfänger entrichtet keine Gebühren. Nur dann kommt der Rechnungsbetrag vollständig beim AVOX VERLAG an. 5. Der Verzug tritt nach den gesetzlichen Regelungen ein. Gerät der Besteller mit einer Zahlung ganz oder teilweise länger als 30 Tage in Verzug oder wird Antrag auf Eröffnung des Insolvenzverfahrens über sein Vermögen gestellt, so ist der AVOX VERLAG unbeschadet anderer Rechte berechtigt, sämtliche Forderungen gegen dem Besteller sofort fällig zu stellen, sämtliche Lieferungen oder Leistungen zurückzuhalten und sämtliche Rechte aus dem Eigentumsvorbehalt geltend zu machen. 6. Kommt der Besteller in Zahlungsverzug, so ist der AVOX VERLAG berechtigt, Verzugszinsen in Höhe von 5 % über dem von der der Europäischen Zentralbank bekannt gegebenen Basiszinssatz p.a. zu fordern. Falls dem AVOX VERLAG ein höherer Verzugsschaden nachweisbar entstanden ist, ist der AVOX VERLAG berechtigt, diesen geltend zu machen. Davon unberührt bleibt das Recht des Bestellers, einen niedrigeren Schaden nachzuweisen. 1. Ein Recht zur Aufrechnung steht dem Besteller nur zu, wenn seine Gegenansprüche rechtskräftig festgestellt, unbestritten oder vom AVOX VERLAG anerkannt sind. Außerdem ist er zur Ausübung eines Zurückbehaltungsrechts nur insoweit befugt, als sein Gegenanspruch auf dem gleichen Vertragsverhältnis beruht. 2. Die gelieferte Ware bleibt bis zu ihrer vollständigen Bezahlung im Eigentum des AVOX VERLAGes. Erfüllungsort für sämtliche Ansprüche aus der Geschäftsbeziehung zwischen dem Besteller und dem AVOX VERLAG ist Leipzig. Für den Fall, dass der Besteller Kaufmann im Sinne des HGB ist, wird Leipzig als ausschließlicher Gerichtsstand für alle Ansprüche im Zusammenhang mit der Geschäftsbeziehung bestimmt. 2. Änderungen und Ergänzungen der in diesen Bedingungen enthaltenen Bestimmungen bedürfen zu ihrer Wirksamkeit der Schriftform und der Vereinbarungen im Kaufvertrag. Mündliche oder schriftliche Nebenabreden binden den AVOX VERLAG nur nach schriftlicher Bestätigung.